Sunday Blogging is about everything but Poetry. Recently I have been reading a lot about Tribes across the world and thought of sharing with you too and I have also written a poem inspired by Ishi – the last Native American in Northern Carolina. Imagine living on your own, in complete silence, always on the run, always fearful, invisible to the world. This is daily life for one solitary man in the Amazon. He’s the sole survivor of his tribe. We don’t know who he is, the name of his tribe or what language he speaks. His people were probably massacred by cattle ranchers who are invading the region at break neck speed. It’s eery walking through the tiny patch of forest where he lives. His presence is everywhere and one can sense him watching every move.His garden is brimming with produce – paw paw, manioc and corn. He will probably come under cover of night to gather the fruits when they are ripe. It must have taken him days to chop down the trees, single handed, to make the clearing. This is not an isolated incident. This is happening in every part of the world. 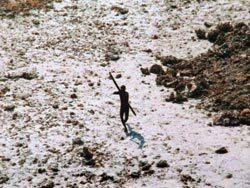 In Australia is in the mission of eradicating its last tribes. America has successfully removed them from their own soil. Now we see the trend in developing countries. Oil workers and illegal loggers are invading the lands of uncontacted tribes in Peru. Channel like BBC has committed the mistake of trying to reach uncontacted tribe. A Blank on the Map (1971) is a BBC documentary written, produced, and presented by a young David Attenborough. It records an expedition to make first contact with a tribe of people who live in an area of Central New Guinea thought to be uninhabited. 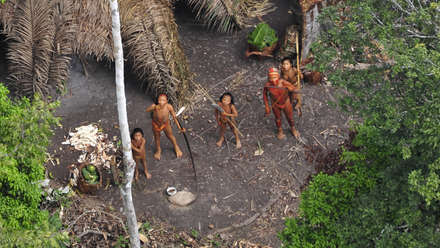 As per Wikipedia Uncontacted peoples, also referred to as isolated peoples or lost tribes, are communities who live, or have lived, either by choice (peoples living in voluntary isolation) or by circumstance, without significant contact with globalised civilization. 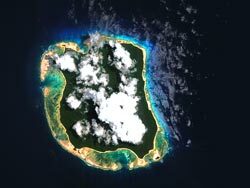 Two tribes of the Andaman Islands, belonging to India, have sought to avoid contact with the outside world. There are various other tribes in the world and we should not contact them and let them have thier own freedom. we have seen in the past how these people are not immune to modern diseases and most of them perished when they were contacted by the whites in Australia and America. The fight for more land and deforestation would continue and the struggle of these simple tribes across the world would continue. There would be many Ishi who would perish and would get lost in the flow of time.